^^ Any of these look familiar? Now, under the federal definition, a food product can only contain 20 parts per million (or fewer) of gluten to carry a “gluten-free” label. The FDA has been working on these regulations since 2007, and it’s a real win for the gluten free-community! New law makes it easier for those with celiac disease to shop, cope. Sometimes Maria Roglieri feels like a sleuth when she sets out to shop. She carefully analyzes labels, looking for any sign that a food is not as gluten-free as it appears. Barley? Forbidden. Rye? Forget about it. Soy sauce? Maybe. 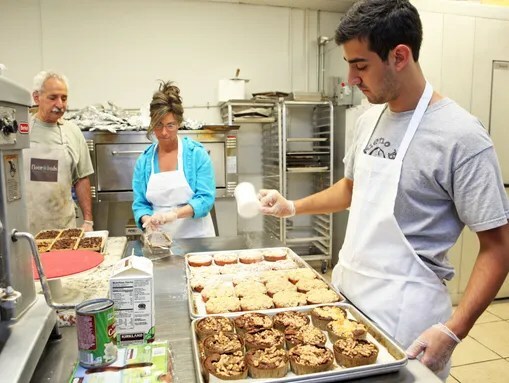 The explosive rise in people who eat gluten-free food as a dietary preference has been a mixed blessing for those who suffer from celiac disease, which can only be treated through total abstinence from gluten, a protein found in wheat, barley, rye and other grains. 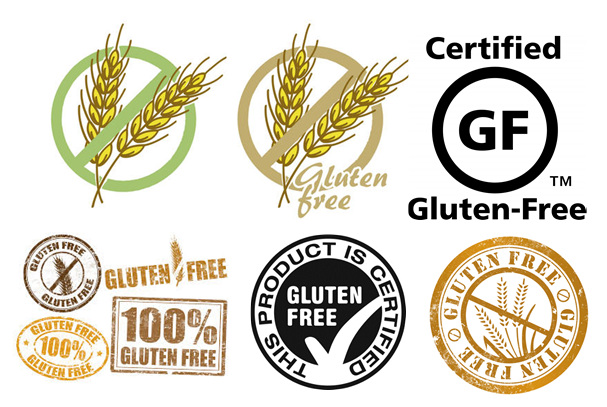 The popularity of such a diet added more and more products to the market labeled “gluten-free.” But it also created uncertainty about what “gluten-free” really meant, since there was no uniform standard applied to the term. That’s why patients like Roglieri are pleased with long-awaited Food and Drug Administration regulations announced earlier this month that now require foods labeled “gluten free” to have only trace amounts of the protein. For them, the new regulations will make buying food safer and less complicated. “It allows us to breathe a little easier,” said Gabrielle Simon, founder of a support group at Nyack Hospital for families of children with celiac disease. For those with the condition, gluten triggers an autoimmune reaction that damages the small intestine and interferes with absorption of nutrients. As more people follow a gluten-free diet by choice or necessity, food manufacturers are adding more products to meet the demand. Last year, sales of gluten-free products hit $4.2 billion, nearly triple what they were in 2008. Sales are expected to rise to $6.2 billion by 2018, according to industry predictions. The new FDA regulation has been in the works for a long time, starting with a proposal sponsored by U.S. Rep. Nita Lowey, D-N.Y., in 1999. The Food Allergen Labeling and Consumer Protection Act became law in 2004. It required food packaging to clearly list the top eight ingredients that cause allergic reactions, including milk, egg, peanuts, tree nuts, fish, shellfish, soy and wheat. It also required the FDA to issue standards for the term “gluten-free” — a task that took nearly 10 years to accomplish. Under the new guidelines, only foods containing 20 parts per million of gluten or less can be labeled and marketed as gluten-free. Experts generally agree that it is not possible to remove all trace of gluten and the standard is small enough not to provoke a reaction in most people. Food manufacturers have a year to comply. “It’s been a long time in the making,” said Roglieri, an Italian professor at St. Thomas Aquinas College in Sparkill and the author of travel guides for people who avoid gluten.